“As an insurance agent, my client’s satisfaction is my #1 priority. A flooded basement or a kitchen fire can very a very stressful time for a homeowner. When my clients call, they are upset and looking for answers. I refer Miller Restoration because I know that from the initial phone call, through the emergency response and clean up, to final paperwork with the insurance company, Miller Restoration employees are prompt, professional and sensitive to my clients’ situation. I refer Miller Restoration because they take care of my clients the way I do.” – Michael O. Few emergencies in the home are more unnerving than a water disaster. Water can compromise your living & work spaces, destroy your belongings, and throw your entire life into a state of turmoil. Miller Restoration understands that when water invades your home, you need immediate action. On call 24/7/365, our certified restoration team will arrive promptly, assess the extent of your water damage in Collegeville immediately and start water restoration right then and there. We have extensive experience servicing Collegeville PA, whether you’ve discovered flooding from a broken or leaky pipe, damage from frozen pipes, a sink or toilet overflow, or a malfunctioning appliance like a water heater, washing machine, dishwasher or refrigerator in your home, or you’re a victim of basement water damage, our flood damage technicians are equipped to handle any problem of any size 24 hours, day or night. Provide a detailed estimate of the water damage cleanup and mold remediation, if necessary, up-front. You can count on us to personally handle all of your water damage needs at every step – from the initial inspection and estimate, through the water restoration process, and all the way to dealing with the insurance company. Our highly trained and experienced professionals can handle any type of water removal situation. Let us take the worry out of the situation and do the work for you. A call to us today could prevent a disaster tomorrow. Contact us today for a free consultation, or to answer any questions you may have. Responding to water emergencies any hour of the day, any day of the week – even on holidays! Using state-of-the art moisture detection monitors to determine if wet flooring, carpeting, pad, woodwork, and walls can be dried and salvaged. If it can be saved, it will be saved. Assigning a professional, knowledgeable supervisor who understands how stressful a water damage cleanup can be to see your property reconstruction through to completion. With a strong commitment to every customer and dedication to every job, Miller Restoration guarantees your 100% satisfaction.Years of water damage cleanup experience serving cities in two states has given Miller Restoration countless satisfied customers who can attest to the company’s exceptional service. Ask for references! Our trained and certified technicians and production managers have the knowledge and experience needed to restore water damaged building materials and contents. At Miller Restoration, we always approach a new job with the intention of saving everything we can rather than doing unnecessary demolition to create a larger job for ourselves. Our intention is to get the property owner back to normal as quickly as possible and to keep the cost of the claim a low as is feasible. We are a water damage company servicing Collegeville residents with residential and commercial water damage issues. If you are suffering from an emergency water damage situation, don’t hesitate, call Miller Restoration today at 610-933-0707. We can start your water damage repair immediately and get your life back on track. The village was originally known as Perkiomen Bridge and later as Freeland. In 1869 the German Reformed Church founded Ursinus College just outside Freeland, and the village changed its name to Collegeville. The Perkiomen Bridge and Perkiomen Bridge Hotel are listed on the National Register of Historic Places. Providing services to Collegeville PA, including 19426. 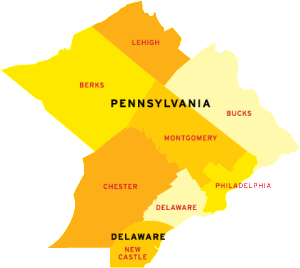 We also provide water services to areas such as Downingtown PA and Ardmore PA.
Read more reviews on Google!